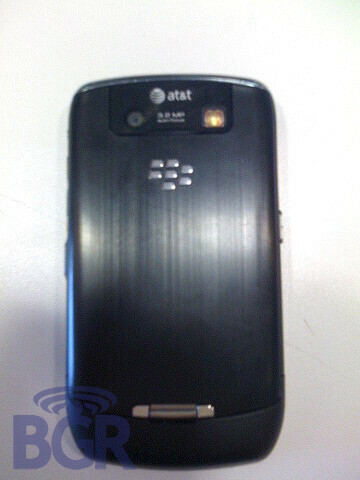 AT&T snagging the BlackBerry Curve 8900? BGR is reporting that a tipster has given them the word that the BlackBerry Curve 8900 is making its way to Ma Bell's house. As far as specs go, the device will basically be copying the Curve 8900 offered by T-Mobile with at least one difference: AT&T's version will have the same themes as the Bold 9000 (which is sold by AT&T). In case you forgot, the Curve 8900 offers Wi-Fi connectivity but does not connect to 3G networks. It has a QWERTY keyboard, a 3.2MP camera with auto focus and flash, and a 3.5 mm audio jack. Possible pricing for AT&T's model and availability date were not mentioned. Currently, T-Mobile offers its version of the Curve 8900 for $149.99 with a 2 year contract after a $200 instant discount and a $100 mail-in rebate. The att logo looks shooped.